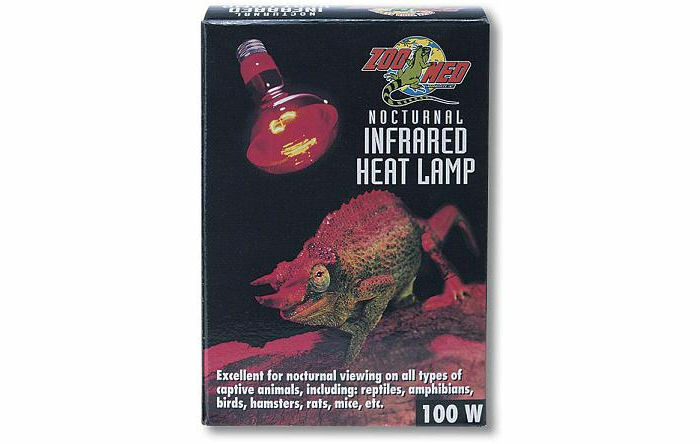 Zoo Med Nocturnal (Red) Infrared Heat Lamp 50W | Livefood UK Ltd. Ideal 24 hour heat source for all types of reptiles, amphibians, birds or small animals. Very little visible light provided so as not to disturb your animal's sleep patterns. Spot reflector focuses more heat onto your reptile and minimizes nighttime glare. Perfect for use in Zoo Med's "vertically mounted" Slider Hood!